partypoker are partnering with Kings Casino to provide exclusive online qualifiers to the €2,200 buy-in €1,000,000 guaranteed German Poker Championship 6th– 14th August. The inaugural event coincides with the launch of the luxurious new King’s Hotel and Casino expansion. The German Poker Championship starts with an Online Day 1 on partypoker on the 6th August. Live Day 1s at Kings Casino start the 10th August, with the tournament concluding on Monday 14th August. There will be countless opportunities to qualify from $0.01 on partypoker. In addition, €200 + €20 Phase 1s Online as well as the live phase 1s at King’s. The introduction of phases is something completely new to King’s. It follows the recent success of the partypoker LIVE MILLIONS event in the UK this year. It is a concept that combines bankrolls to allow players of all levels to take a shot at big money prizepools. Lastly, in true King’s fashion, there will be numerous tournaments throughout the festival which cater to the lower buy-in player. These tournaments still have huge guarantees including the GPC Mini on the 11th August. After the successful launch of the $3/$50 Sit & Go Hero (SE) games, we have replaced our $100 Hero games with the SE format. Additionally, 3-handed, 2min clock, and no bounty. The partypoker website hasn’t been updated yet, but we’ll hopefully have something up in the next few days. We had a successful launch of the $50 Sit & Go Hero (SE) games. As a result, we have replaced our $3 Hero games with the SE format also (3-handed, 2min clock, no bounty). Partypoker has launched a sit & go 3 handed SNG Hero WITHOUT bounty. There is nothing on the website yet, but we will have something up in the next few days. The terms on SNG Hero apply, only difference there is no bounty. A lot of players have been asking for a $50 level. We have been listening to the feedback, and that’s what we’ve done. 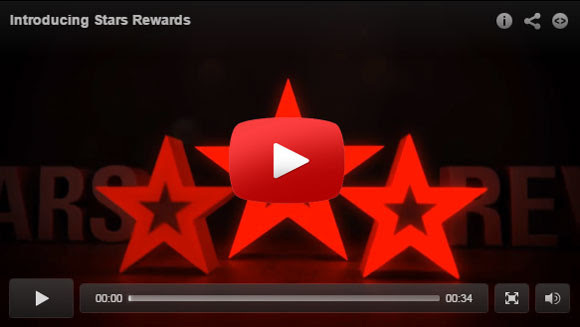 PokerStars excited to announce that later this summer – as early as July – they will be launching Stars Rewards, a new rewards program. This program offers an exciting, personalised gaming experience that rewards players for their real money play. We offer a variety of options, including poker, casino and sports (where available). We want to be sure that you can make every game count. With Stars Rewards you earn points that give you Chests filled with a variety of rewards personalised to the games you like to play. Every Chest offers you the chance at winning a big prize! The more you play, the bigger the Chests you’ll receive. You can also earn double points via daily boosts. Here’s a glimpse at what it will look like. When Stars Rewards launch, the rewards you receive are based on the new mechanics of the program. VIP statuses and the rewards associated with the current VIP Club program will be discontinued. You’ll receive the full prorated value of your current VIP Step when the new program launches. 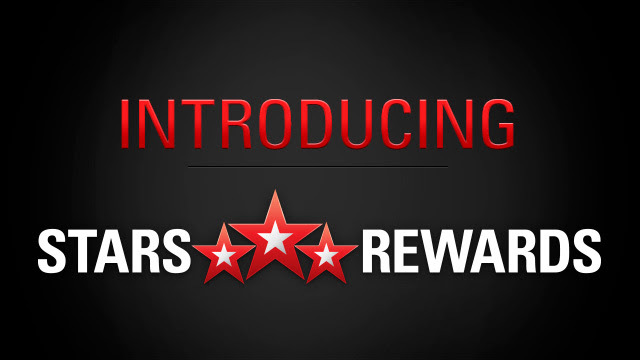 We’ll be in touch soon with more news about how you can make the most of Stars Rewards.